gaybars.eu › Germany › Berghain - the most notorious Berlin techno club. Berghain - the most notorious Berlin techno club. Berlin. 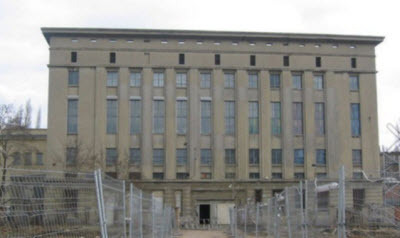 Berghain the most famous / infamous Berlin techno club exists more than 10 years. Berghain was named after merging KreuzBERG (former West Berlin) and FriedrichsHAIN (former East Berlin). The nightclub is located on former industrial and railway yard in a tall building where three clubs are located: Berghain, Panorama Bar & Lab.Oratory (gay only). The queues to the club are very large, up to more than 2 hours at times. But the club is very exclusive with its visitors and has a very strict entrance policy. You just does not get into the club if you do not have the profile look at that time. The club would like to have a mix of different species distributed as public. A quick look at the bouncer Sven Marquardt sufficient for a resolute "yes" or "nein" to get in order to have access to the club. The right clothes, attitude, age, gender, look, behavior: these are elements that count if you may enter or not. A 'Nein' remains a 'Nein'. Disappointed visitors pass the long queue. Everyone hopes in the queue to enter and not to belong to the refused exitcorridor. But once you're inside, it's techno paradise open for you .The infamous club with its high reflective beats and mystical dark halls , not be indifferent. The big dancefloor is packed with dancing techno fans and hard house music through the speakers. Often , party animals in the club are there from Friday to Monday in one big marathon party.Its is 24/24 open at weekends. 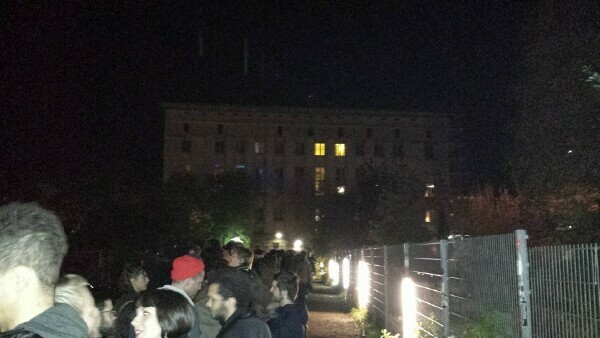 Berghain leaves its guests in a large techno-house dream float.